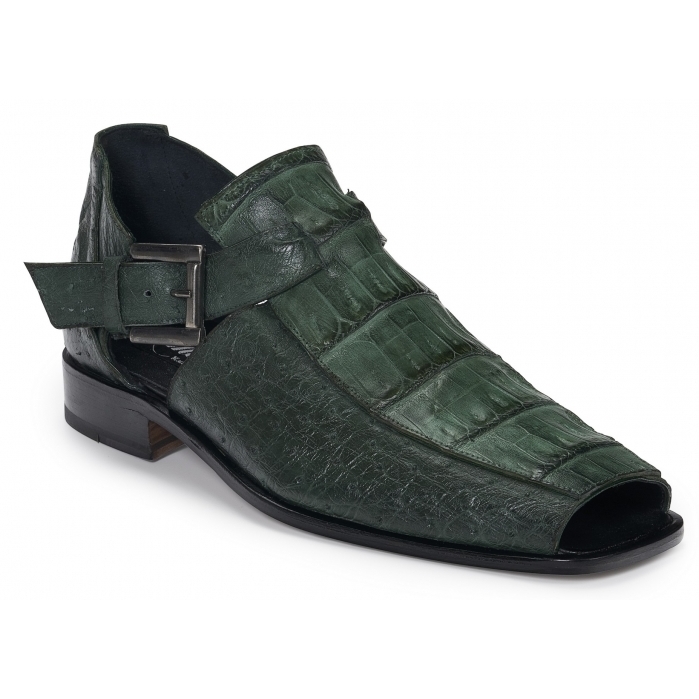 Stunning open toe sandals with heel made of genuine crocodile and ostrich leather in hand painted hunter green finish. Leather lining. Made in Italy.